Taking care of a loved one who needs daily assistance isn’t easy. It requires a great deal of resources to help keep their quality of care high. When family members have in-home assistance for their loved one, it can greatly impact the financial resources of the family. Sometimes, when a family has used up their resources taking care of a family member, they might place a reverse mortgage on their home to gain access to much-needed money quickly. 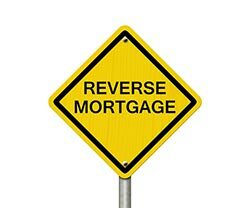 The trouble about using reverse mortgages for taking care of a loved one is that some people don’t monitor their monthly withdraws and may find that they’ve also exhausted their limit. This can present a crisis, especially if the individual that needs care has progressed in their disease. In many cases, patients include those that are suffering from Alzheimer’s and dementia. These individuals often require 24/7 medical care and can’t afford to be on their own for any significant length of time. In order to avoid using up a reverse mortgage, proper planning is key. Ideally, every individual should take out a long-term care insurance coverage plan to make sure that they are protected in the event that they’ll require assistance in the future. 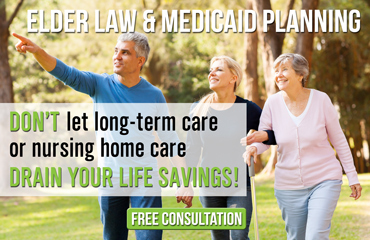 Also, in addition to a reverse mortgage—which should be a last or second-to-last resort—investigating things like Medicaid can also be helpful, especially if the person suffering from the disease has a fairly low income. Families should talk with an elder care attorney who can help put together a list of action items, in addition to the reverse mortgage, that may help cover care.